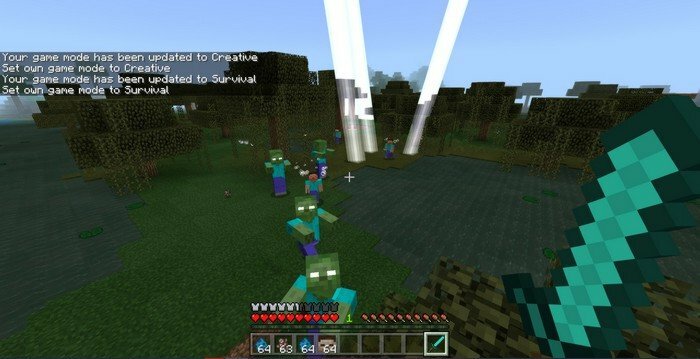 Herobrine is extremely dangerous foe and now imagine meeting a few of them creatures in the forest. There is no doubt that I, myself, would have made a bunch of bricks into my pants. 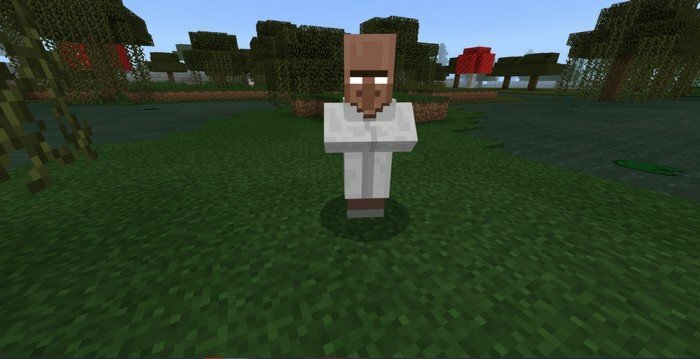 Mod adds a different kind of Herobrine based creatures into MCPE 1.9.0, even a possessed Villagerbrine. Herobrine Totem - is used to summon them all. Use a totem and make a sacrifice to it, that will decide whom to summon: Diamond Sword > Summons Herobrine, Wither Skeleton Skull > Summons Herobrine God. Herobrine - teleportation. Fire, projectile and harmful effects immunity. Summons TNTs and turns Creepers into Charged Creepers. Summons Zombrines, slows you down and causes Nausea effect. 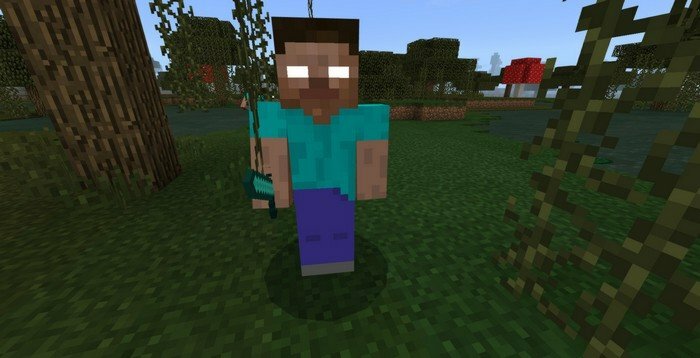 Herobrine God - flies, has all powers owned by regular Herobrine plus shoots fire charges. Zombrine - summoned as a punishment for the wrong gift to the totem. Faster and all way better than a regular zombie. Villagerbrine - follows you and scares mobs nearby.